We are sad to report that our sweet Lucy passed away at the age of 15. Her final act of kindness was to gently care for Apollo, a baby goat with an injured leg who arrived at the CAPE Animal Sanctuary in early July. RIP Lucy. We will remember you with love. ​Lucy was rescued by from a slaughter facility by animal control. She was suffering from severe laminitis. 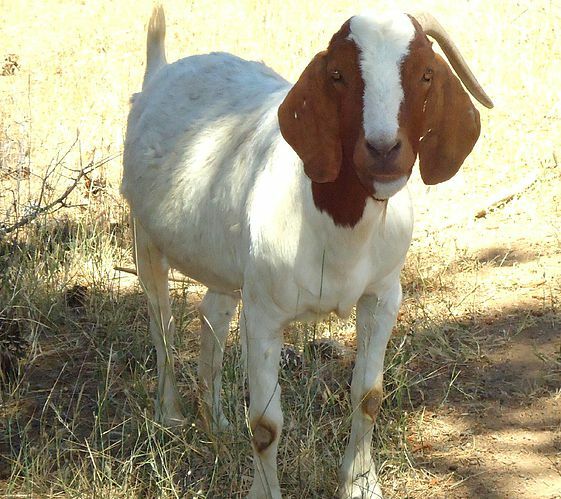 Luckily CAPE learned about this goat with special needs, and was able to rescue her. Lucy now lives with her best friend Lulu at the CAPE Animal Sanctuary. Although her laminitis still flares up on occasion, each day Lucy happily meanders around her pasture.